33-year old man charged with misdemeanor -- and may have gone No. 1 for the second time. The Philosophy of Language section at the San Francisco Public Library will never be the same. 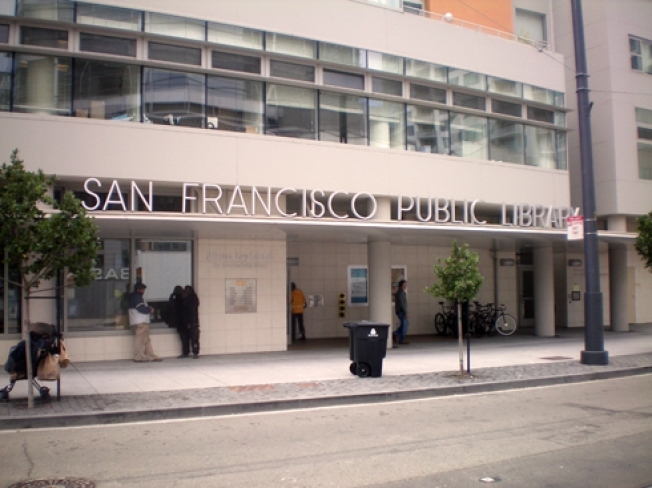 A 33-year-old man was arrested last week after he urinated on three shelves of books in the aforementioned section, causing $3,000 worth of damage, according to the San Francisco Examiner. Libary employees reported hearing a "tinkling sound" on the library's third floor, where they discovered 33-year-old Aton Cole "in the act of peeing," according to police. He was arrested and charged with a misdemeanor count of vandalism -- and this may not be the first time Cole has relieved himself upon library materials. Cole -- who is a known nuisance around the Civic Center library, which is a magnet for homeless and street people -- was suspended from the library for a month after he urinated on third-floor carpeting, according to an anonymous library employee. Librarians are still unsure whether the books can be cleaned or repaired -- or must be discarded and replaced, according to the newspaper.